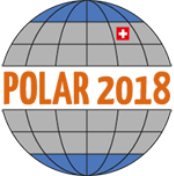 POLAR2018 is a joint event from the Scientific Committee on Antarctic Research SCAR and the International Arctic Science Committee IASC. The SCAR meetings, the ASSW and the Open Science Conference will be hosted by the Swiss Federal Institute for Forest, Snow and Landscape Research WSL under the patronage of the Swiss Committee on Polar and High Altitude Research. The WSL-Institute for Snow and Avalanche Research SLF is organising POLAR2018, which will take place in Davos, Switzerland from 15 - 26 June 2018.